This year marks the 48th season of the beloved preschool educational television program, Sesame Street, which first aired on November 10, 1969. 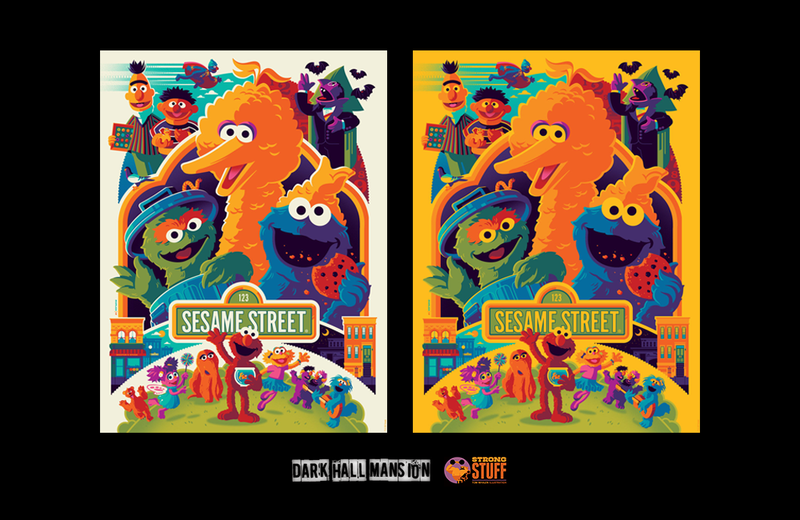 Online retailer Dark Hall Mansion is marking the occasion with the release of a limited-edition set of Sesame Street screen prints illustrated by designer Tom Whalen. Both sets are a who’s who of the iconic characters that have appeared in the show over four+ decades. The artwork is crisp and decidedly retro. Each print is 18 x 24-inches. Prices start at $55 for the standard edition and $85 for the “Big Bird” version. Toronto, Canada-based manufacturer ForeverSpin has turned one of the world’s oldest and timeless toys into minimalist beauty.